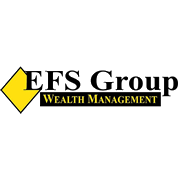 EFS Group Wealth Management offers an investment strategy with the objective of providing an inflation-adjusted income for life. At EFS Group Wealth Management our mission is to be indispensable in helping our clients make smart retirement decisions through uncompromising integrity, trust and personalized service.We believe that if we are successful in adding value to our client’s lives in this way, our business will continue to thrive. More importantly, we will have done the right thing. EFS Group began in 1996, Marc Geels and Don Heilbuth, owners envisioned a practice that offers clients something unique. Their approach with their clients was to look at all aspects of their life and offer services designed for those stages of their life. Today we have grown to be over a million dollar office. We have done that by ensuring we have partnered with the correct BD as well as implementing a support staff that is second to none.We utilize our Broker Dealer, Securities America as our Business Growth Export. EFS Group's financial professionals provide comprehensive financial guidance and support to clients throughout the region. Marc. A. Geels, CFP® and Dr. Don Heilbuth together have more than 40 years of experience helping their clients manage their financial matters. Marc has a Bachelor of Arts Degree in Business and Accounting from Dordt College and holds the CERTIFIED FINANCIAL PLANNER practitioner designation. Dr. Heilbuth has a Doctorate of Education in Adult and Higher Education, a Master of Arts Degree in Counseling, Guidance and Personal Services, and a Bachelor of Science Degree in Business Administration and Psychology. Together we provide comprehensive financial advice developed specifically to help you meet your financial needs. We offer a wide-range of investments, along with retirement, estate strategies and business planning services. EFS Group supports your life insurance, annuity, long-term care insurance and Medicare needs. As independent financial advisor representatives, the firm has over $100 Million under advisement. Copyright © 2010 EFS Group. All rights reserved. Securities offered through Securities America, Inc. Member FINRA/SIPC. Advisory services offered through Securities America Advisors, Inc. An SEC Registered Investment Advisor. Marc Geels, Don Heilbuth, Representatives. EFS Group and the Securities America companies are unaffiliated. Securities America and its representatives do not provide tax or legal advice. Please contact the appropriate professional regarding your particular situation.